Our Canine Society was founded in 1946 by Eric Gross who owned Wirehaired Dachshunds and the club has been running since then. 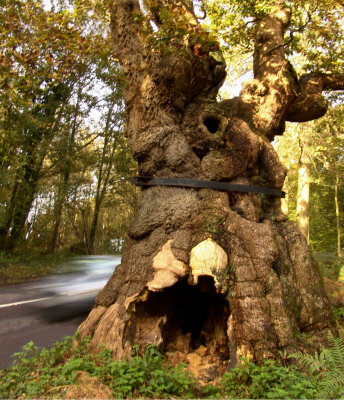 The tree found on our logo, is not only just an old dead tree, but the famous Big Belly Oak, said to be 1000 years old and is located in the Savernake Forest in Marlborough. This is the only area of ancient forest not owned by the Crown and its historical roots run as deep as some of the many ancient trees that survive in the forest today. We currently hold an Open Show the first bank holiday in May every year, Ring craft classes every Tuesday evening at Easterton Village Hall, Matches seasonally and seminars from time to time. The Officers and Committee of Marlborough and District Canine Society are taking measures to ensure that any personal data continues to be kept safe. Any Data Subject can be assured that the Club has taken measures to keep your data safe and comply with the new law.